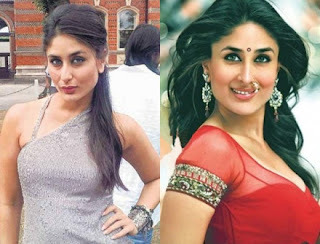 Kareena Kapoor is yummy mummy in Ra.One, and has donned all sorts of chic dresses in the film. Her sensuously glamorous look in red sari for the song Chammak Challo has caught the fancy of the fans and fashionistas alike. But Bebo says that her character’s look in ‘Ra.One’ is simple, and not over the top. In fact, the movie’s producer and leading man Shahrukh Khan also gave her valuable tips on styling for ‘Ra.One’. Kareena plays Sonia Subramanian in the film and insists that the idea was to maintain a simple yet fashionable and glamorous approach towards her character, who is a smart lassie and modern-day mother. “My look is chic, but minimal,” says Bebo.